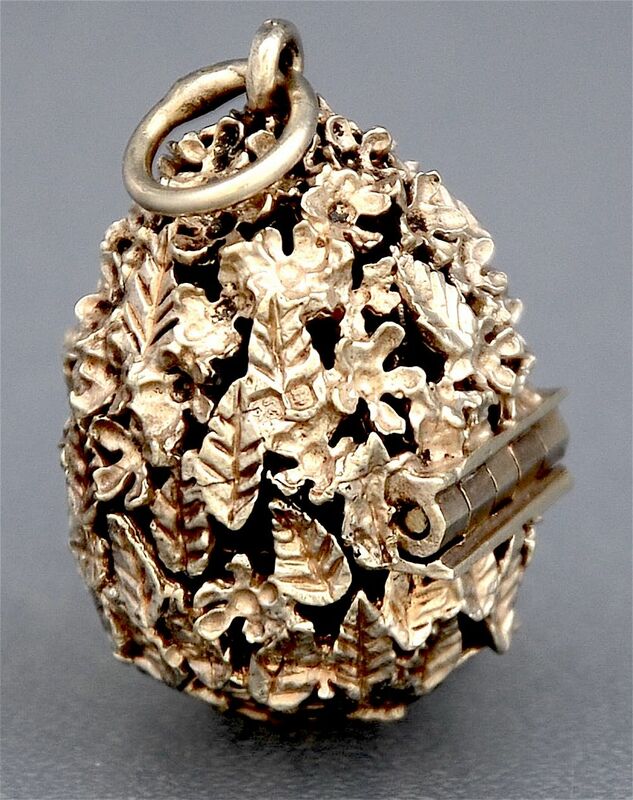 This egg shaped pendant was made by Stuart Devlin in 1985. 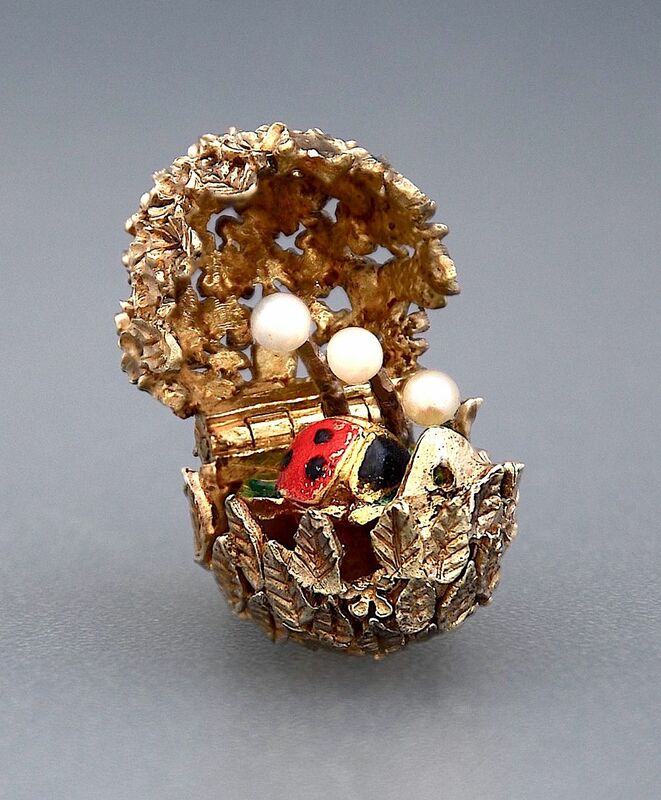 The case is in pale gilded silver and is made of leaves & flowers and opens to reveal an enamel ladybird on a green leaf with a spray of pearls above. It is hallmarked by the London Assay Office for silver, 1985 and with the sponsor's mark "SD" for Stuart Devlin.